Micallef Cigars, LLC is set to announce expansion to 3 of their existing lines. 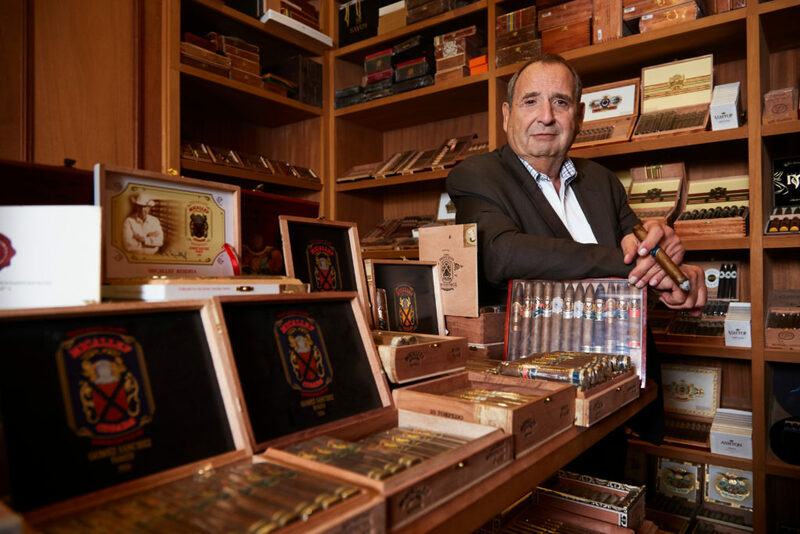 A total of 6 vitolas will be introduced across the Legacy lines of the Migdalia, Connecticut, and the Experiencia La Crema. The vitolas are in robusto, toro and gordo formats. The new vitolas will debut at the Tobacco Premium Expo (TPE) in Las Vegas during the week of February 11th and will begin shipping to tobacconists in the United States immediately following the show. 1 vitola: Toro (6 x 52), with introductory prices retailing for $10 per cigar and packaged in a 24-count box. The Migdalia is a 4-year aged San Andrés Habano wrapped over a Sumatran binder and Nicaraguan and Dominican fillers. The Migdalia delivers a full flavor experience that will not disappoint. 2 vitolas: Toro (6 x 52) and Gordo (6 x 60), with introductory prices retailing between $10 and $12.50, respectively, packaged in 25-count boxes. The Connecticut is a 4-year aged Ecuadorian Connecticut over a Nicaraguan Habano binder and Nicaraguan and Dominican fillers. Not your everyday Connecticut profile, as this is a medium strength, well-balanced blend. 3 vitolas: Robusto (5 x 54), Toro (6 x 52), and Gordo (6 x 60), with introductory prices retailing for $11, $11.50 and $13, respectively, packaged in 20-count boxes. The La Crema is a 4-year San Andrés Sumatran over an Ecuadorian Habano binder and Nicaraguan, Dominican and Panamanian fillers. A top-seller that has balanced complexity with an earthy, leathery quality along with touches of nuts and chocolate with a hint of cinnamon. Previously only available in a churchill format (7 x 52), the introduction of a robusto, toro, and gordo has generated much excitement. The company recently expanded operations at their new factory in Esteli, Nicaragua. As part of Micallef’s Legacy lines, these vitolas are rolled at the newly expanded Micallef Cigars, SA factory. This past November, pre-release cigars were given at Cigar Aficionado’s Big Smoke weekend in Las Vegas. Over 500 of the Migdalia Toro were unveiled during a special VIP luncheon hosted by Micallef Cigars and Cigar Aficionado. In just a few short years, Micallef Cigars has garnered a number of prestigious awards and ratings throughout the cigar landscape. 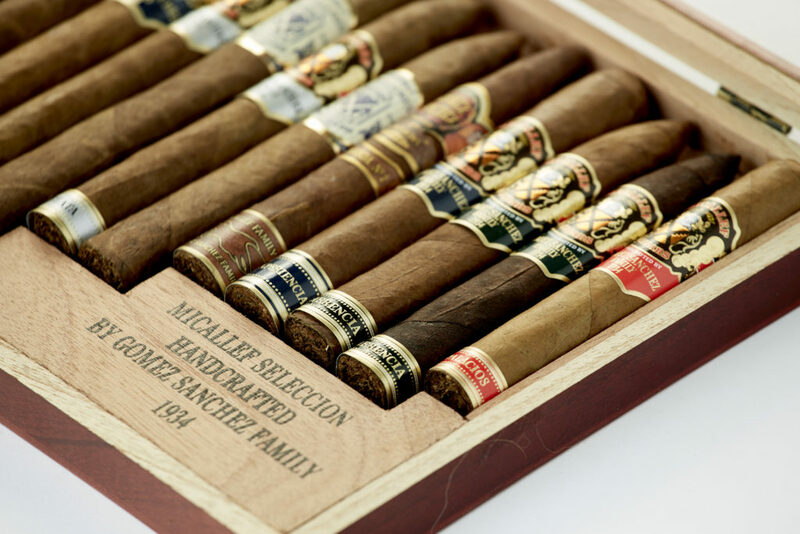 Micallef Cigars is distinct in quality and the company’s spectrum of price points offers cigar enthusiasts a variety of high caliber blends to choose from. For more, check out our interview with Al Micallef.